Purchase the all-inclusive Weber VanDyck Oil Painting Kit today, and experience the ease of setting up your canvas and working space. 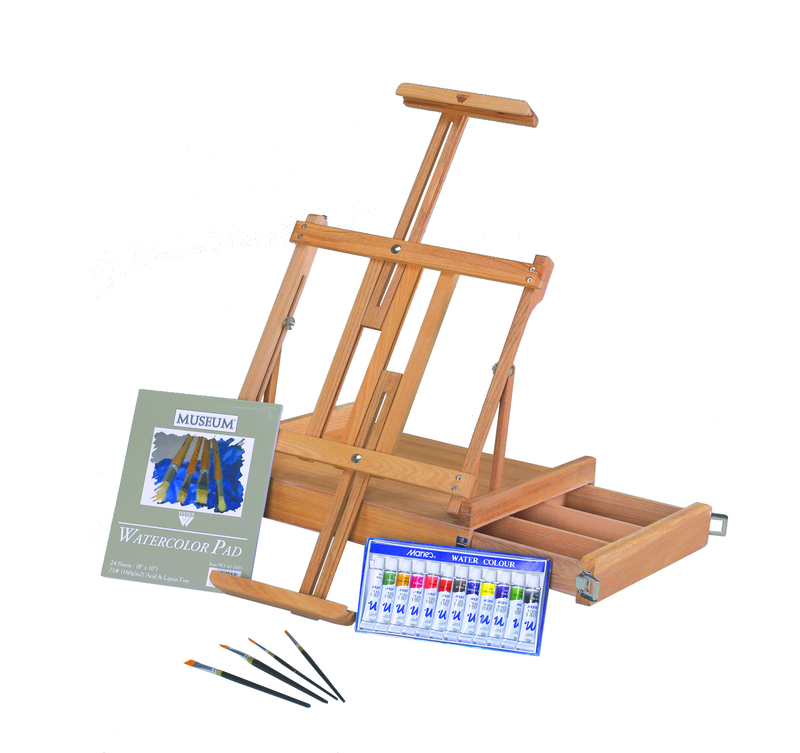 Complete with easel, oil paints, paint brushes, and canvas boards, VanDyck's kit prepares you for your next artistic endeavor. The Weber VanDyck Oil Painting Kit is the perfect set of tools for beginner and experienced artists. Get set up with VanDyck's sturdy elm wood easel, which seamlessly adjusts to different heights based on the artist's needs. It's unique structure permits the canvas-holder to slide up and down, and even go below the table it sits on. Therefore, artists can comfortably sit down without having to reach for the tops of their canvasses. The VanDyck Studio Oil Painting Kit also includes 12 tubes of quality oil paints, three 9" by 12" canvas boards, and last but not least, four different-sized Taklon brushes. This all-inclusive easel set keeps supplies organized thanks to the easel's wooden compartment drawer.